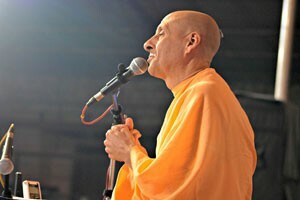 Answer by Radhanath Swami: One time Lord Chaitanya in Puri was asked the same question. There were a group of Vaishnavas, devotee’s from Kulina Gram. In those days, in Bengal, Kulina Gram was well known for making very good silk ropes that were very strong. Because all of the people who came from Kulina Gram were all the grihastas, were all householders, family people, so Lord Chaitanya told them, “Every year come and bring your best ropes to pull the chariots of Jagannath, Baladev and Subhadra.” So Lord Chaitanya was teaching this principle that according to where people are from, and wherever things are good, use them for Krishna, yukta-vairagya. “This place is known for good ropes. That’s wonderful! You all know how to make good ropes, don’t renounce it, make them for Jagannath and not only for Jagannath but for everybody, because there’s going to be millions of people using those ropes to pull Lord Jagannath. So how if you make those ropes, you are giving such pleasure to Jagannath and you are giving such pleasure almost all the millions of people that are going to be pulling the ropes.” So through that simple instruction, “You bring ropes every year for Jagannath,” he was teaching the essence of bhakti. So, in other words there are different levels of the devotees. So one who has faith in the personal conception of God and who follows the principles of devotional service at least has faith in the principles and is making an effort even with shortcomings, that is a vaishnava. On the preliminary level, one who is actually very sincerely serving and very sincerely following, and actually has developed a taste for the holy name, is a higher vaishnava. And one who really tastes the holy name and really connects to Krishna’s grace in such a way that they just want to be an instrument of Krishna’s compassion in every way to help others, that is the highest vaishnava. Now we can understand this from many perspectives. Srila Prabhupada in several places says the true Vaishnavas is a person who is free of all envy. Now we can understand in a preliminary state that people could be vaishnavas but the Srimad Bhagavatam also tells that there are devotee’s in the mode ignorance, devotees in the mode of passion, devotees in the mode of goodness and devotees in the transcendental state. The devotees who believe in Krishna and who follow certain principles, and the way they dress and the way they do some sadhana and everything, but if they are arrogant or abusive to others, they find faults in others, they like to criticize others, and they are envious, then they are devotees but in the mode of ignorance. There are also devotees who really want results to their actions and they want wealth, they want fame, they want recognition but they are serving and performing the sadhana, then they are devotees in the mode of passion. Devotees in the mode of goodness are those who are really serving without all of these selfish expectations and one who is actually serving with love, who is free of envy. That is a true vaishnava. So actually a vaishnava is one who is without envy. Actually Vaishnava is one who serves with love. One is the true vaishnava who has that higher taste and who loves Krishna. 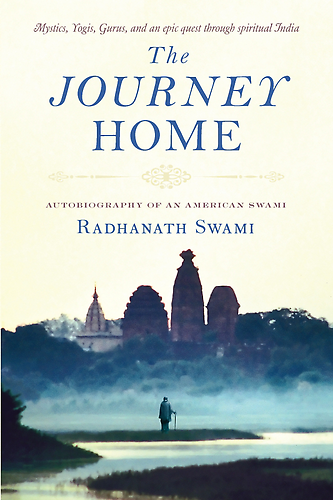 In the lower stages, there are people who are in the process of becoming true vaishnavas. If they associate with advanced devotee and they have some humility, then even if we are in the mode ignorance or passion we can come to that highest stage by Krishna’s grace. Srila Prabhupada said that the main point is that we are actually sincere, when we are not duplicitous, we don’t have ulterior motives, and we really want to become pure. Even if were in a fallen state, we want to recognize people who are pure and respect people who are pure. And we want to see others make progress and we keep trying. 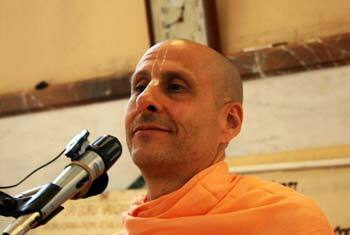 So that sincere effort is what makes us really vaishnavas.